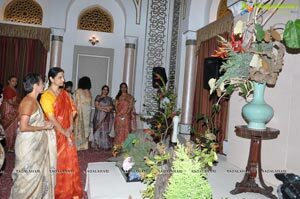 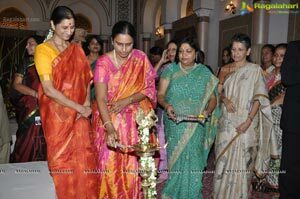 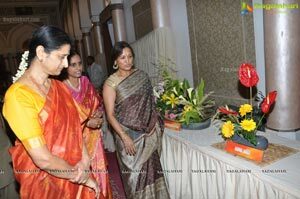 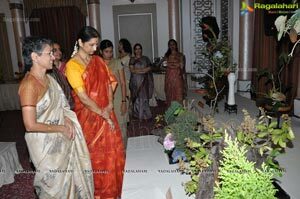 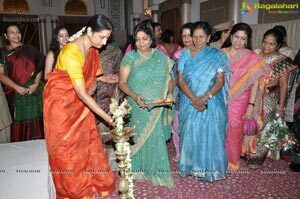 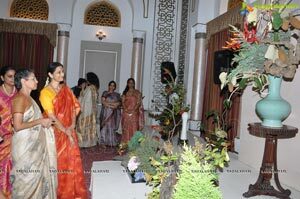 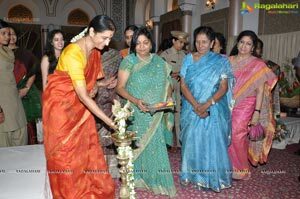 The First Lady of Andhra Pradesh Vimala Narshimhan has inaugurated the three day Silver Jubilee Celebrations of the Hyderabad Chapter of Ohara School of Ikebana and 60th Anniversary" of Indo- Japan diplomatic ties here today in city. 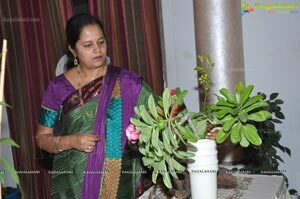 The installation ceremony of new committee members, certificate presentation to students and felicitation of senior master Oh-ka Meenakshi Devi has been performed. 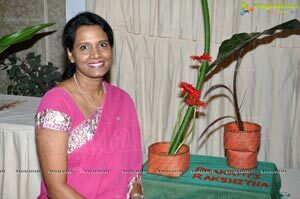 The new Committee for the term 2012-2014 will be: Horyu Meena Anantnarayan (Founder Advisor), Hosho Usha Bhagia (President) , Mrs. Jaishree Shunmugaraj (1st Vice President), Ho-kiku Vineetha Kumar (2nd Vice President), , Koyo Sharmrla Agarwal (Secretary), Ohjun Nirmala Agarwal (Joint Secretary), Dr.Chandi Ray (Treasurer), Mrs. Meenakshii Sujnani (Joint Treasurer), Ohki Anisha Tandon (Chief Editor of the News Letter - Pushpa Vani). 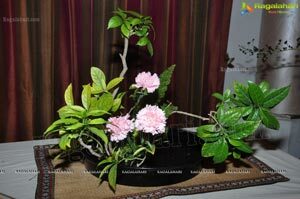 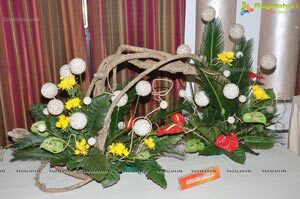 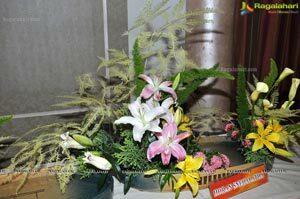 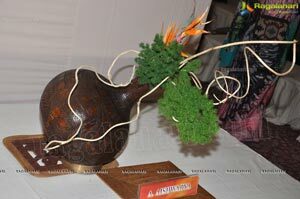 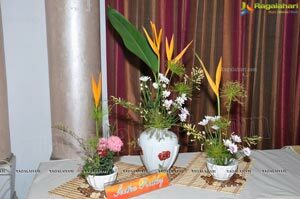 A Demonstration of a new style of Ikebana Hana-Kanade (Introducing in India) and other styles by Sensei Masakazu Chiji at 10:30 a.m to 12.30 pm on 25th August at Jubilee Hall, Public Gardens and a workshop at Shishtri Art Gallery, Jubille Hills on August 26,2012 will be held. 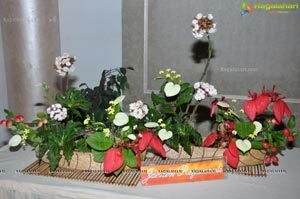 We are a voluntary, non-profit organization aiming at spreading the art of Ikebana (Japanese flower arrangement) and awareness of nature. 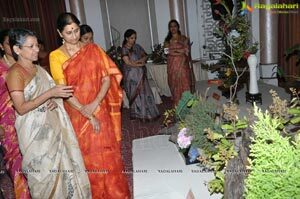 Our chapter has held many exhibitions, workshops and demonstrations. 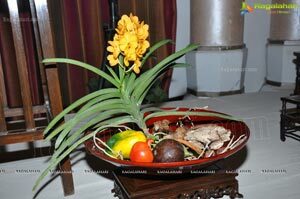 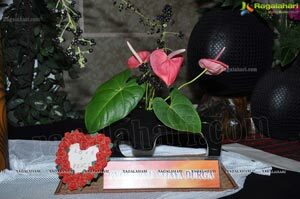 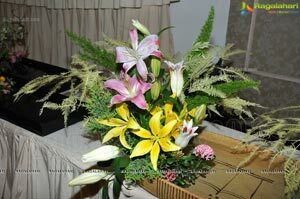 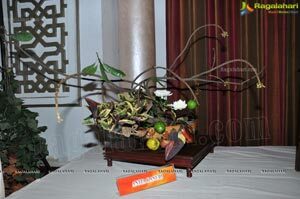 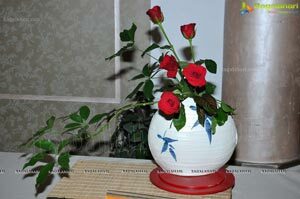 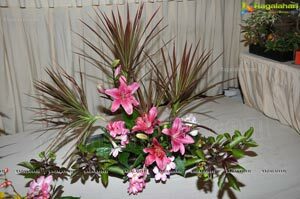 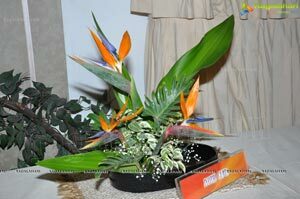 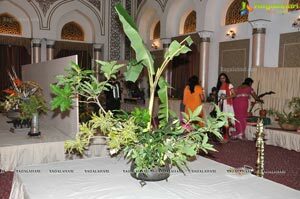 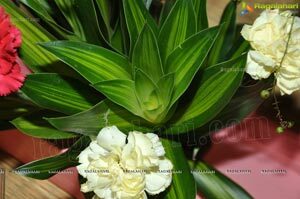 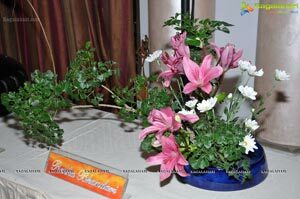 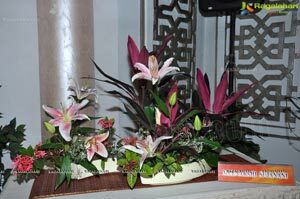 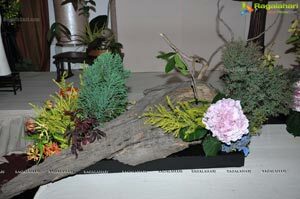 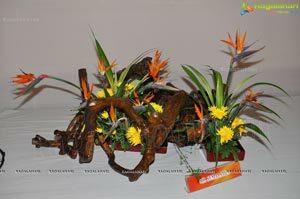 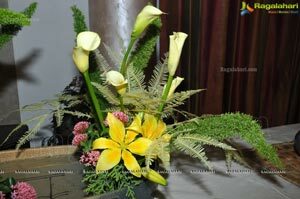 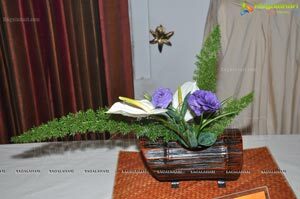 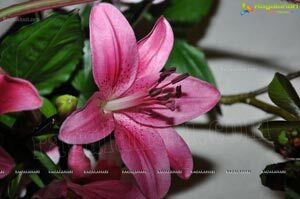 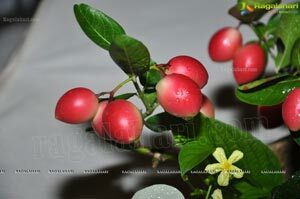 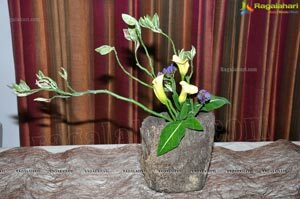 The Ohara School is one of the very popular and widely spread schools of Ikebana. 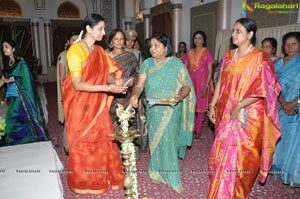 In Hyderabad the Ohara School was started by Grand Master Horyu Meena Anantnarayan way back in 1964, inaugurated by the then Governor Pattam Nana Prllar with very few members. 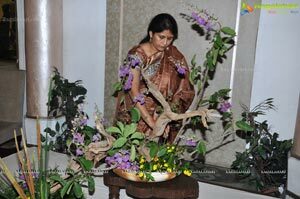 In 1983 she started Ohara study group which was a prelude to chapter. 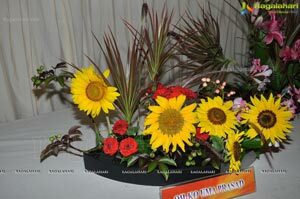 Through her dedication she was able to start Ohara Chapter in 1988. 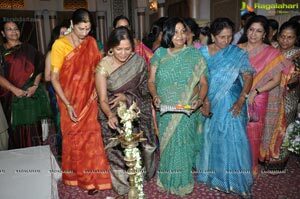 Since then the chapter has become very active and has held many exhibitions, conducted workshops and had demonstrations and very interesting programs. 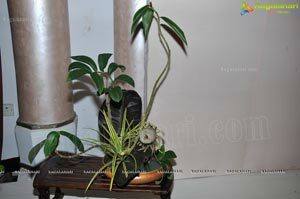 We are in proud possession of our own premises. 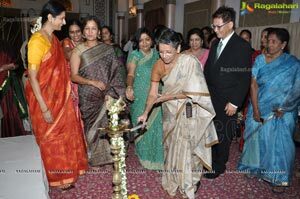 At present the chapter is headed by HOSHO USHA BHAGIA, the President of the chapter. 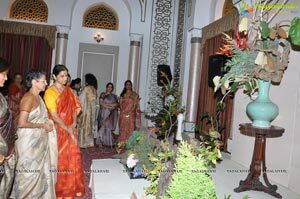 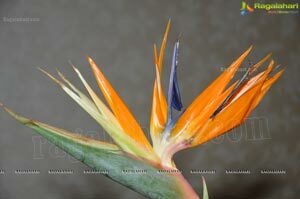 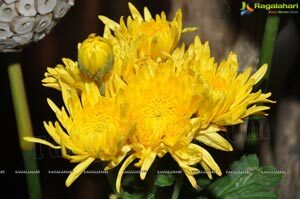 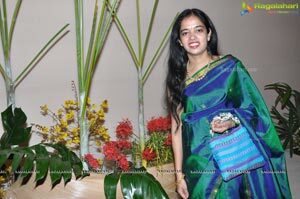 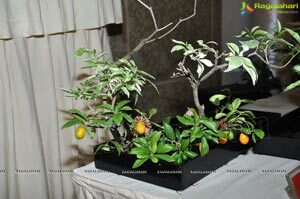 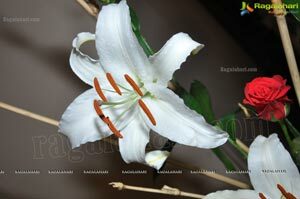 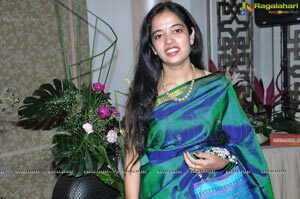 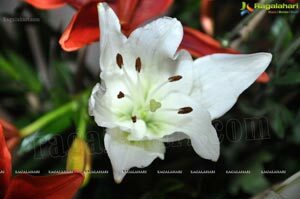 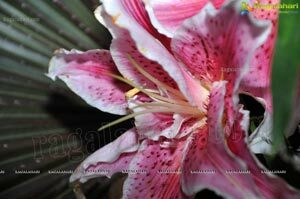 The Hyderabad Chapter has 350 members and conducts monthly programs, workshops, demonstrations etc.